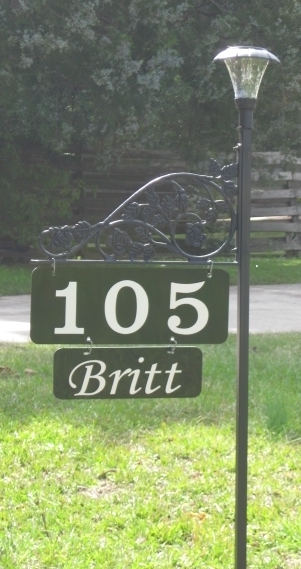 Thank You For Your Interest In Our Elegant/Reflective Signs, Curb Numbers + Options! Product Information: Products are "custom manufactured" for your address requirements! All Sales ﻿FINAL﻿ - No Returns/Refunds Following Order Verification! 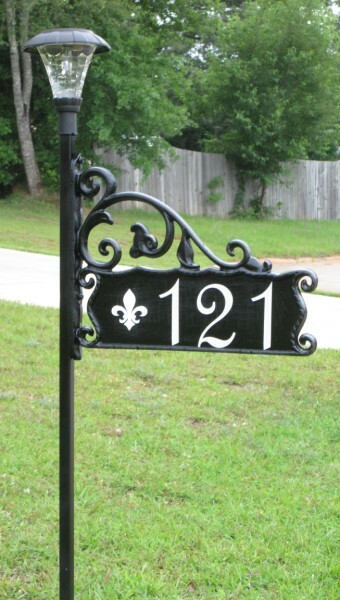 Fleur De Lis (Pair | White or Reflective) - This OPTION "modifies" the maximum numbers/items for each sign. Example: The Oak/Rose pattern has a maximum of 4 Deco Numbers/Items. "Normally" that would be 4 Deco Numbers. However, it could also be 3 Deco Numbers + 1 Optional Fleur De Lis ... still representing a maximum of 4 Numbers/Items. 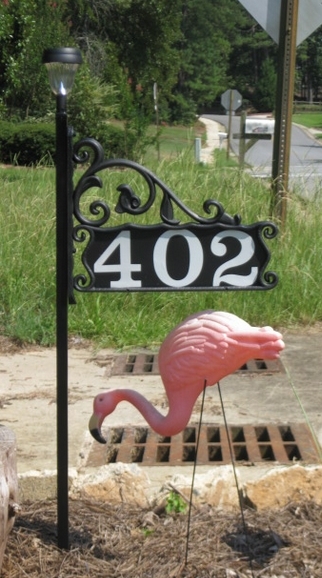 The 48" Post is our most popular size. We have a limited number of 60" posts (E-mail/Web Form Request). 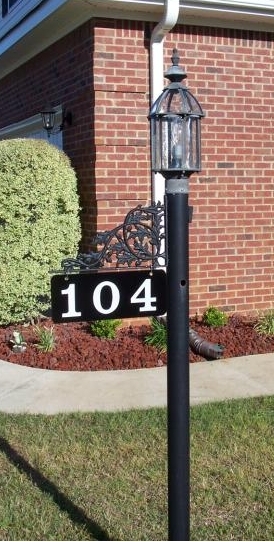 The Oak and Rose patterns are also used/attached to a "Lamp Post" or other "stand alone" structures. Coming Soon: "Patriotic" and/or "Inspirational" Garden Flags! 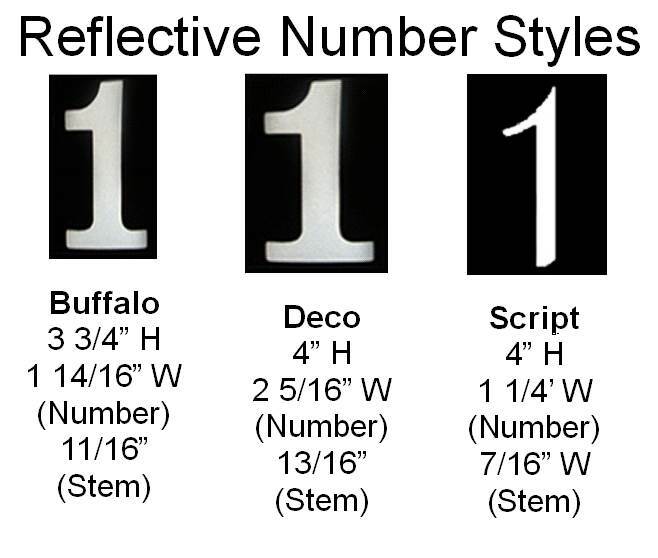 Below are a few "typical" sign configurations. Our focus is NOT "mail-order for profit!" If you are NOT within a 15-mile radius of Warner Robins, Georgia you are considered a Mail Order customer and your order MUST INCLUDE/COVER SEPARATE SHIPPING/HANDLING CHARGES! Thank You! ﻿Not "sure" of how/what to order?﻿ Just fill out the form below! Please be as specific as possible, provide your complete (physical/delivery) address and a "preferred" contact number. We'll "verify/validate" your request and ﻿INVOICE﻿ you! Thanks! Please Include A "Preferred" Contact Number With Your Order! 4. Click The ﻿"View Cart"﻿ Button To Review Your Order Contents. After ALL Requested/Required Items (Signs, Options And/Or Shipping Charges) Have Been Added To The Shopping Cart THEN Click ﻿"Check Out" ﻿Or ﻿"Check Out With PayPal"﻿ And Follow Instructions. CLICK HERE Or PayPal Image For "Unspecified Payments (Products/Goods/Services/Donations)"
48" Boardwalk w/(Optional) Deco Numbers + (Optional) Solar Light Cap.